7.8 oz. ComfortBlend EcoSmart 50% cotton, 50% polyester. PrintProXP patented low-pill, high-stitch density fabric; ribbed cuffs and waistband; roomy pouch pocket; double-needle coverseamed neck and armholes; dyed-to-match drawcord. Perfect for the cold seasons. 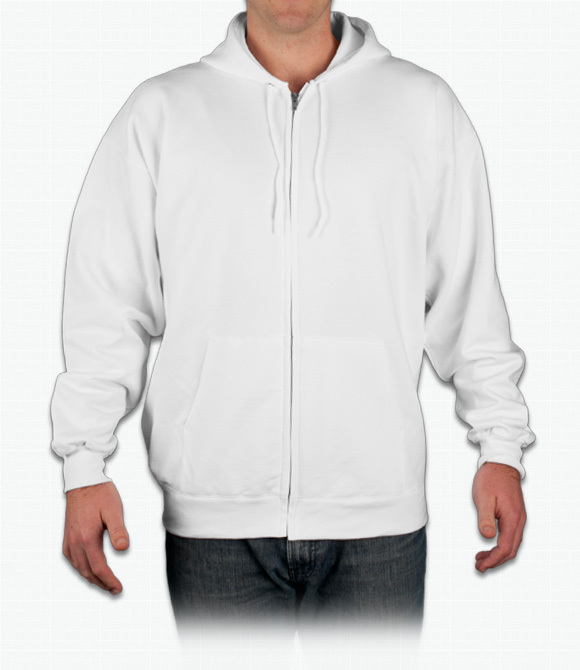 Slightly thinner and shorter than non-zip Hanes hoodie. Ultra soft material will make this one of your favorite outerwear pieces to wear. "Perfect! It's an easy slip on jacket that keeps you the perfect temperature." "Turned out great only one thing I'd change but overall great will likely order more from here"
"The only reason it didn't get a 5 is because the sizes were a little smaller than expected. I'd note to order a size up for a comfortable fit."